A country modern house gives your home a lived-in, curated feel but still is clean, full of bright spaces, and designed to impress. Bring together the elimination of excess with the organic materials and farmhouse-like design of country décor to create country modern. Whether you incorporate wood and well-chosen antiques or find a delicate balance of design in each room of the home, your country modern home has the potential to be everything you’ve been looking for in your beautiful home. 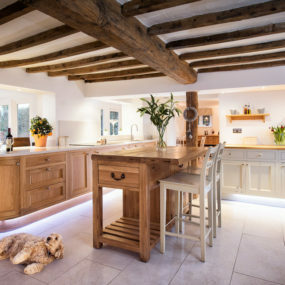 A country modern kitchen with a farmhouse roof. A welcoming, bright country modern bedroom. A country modern kitchen with pops of color. 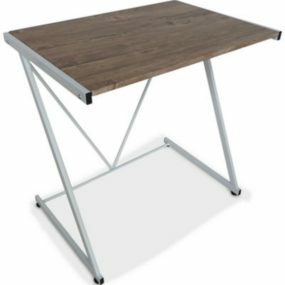 If you want to combine some of your favorite pieces while also eliminating excess in your home, country modern is right for you. Feast your eyes on these rooms to see if this style is up your alley. 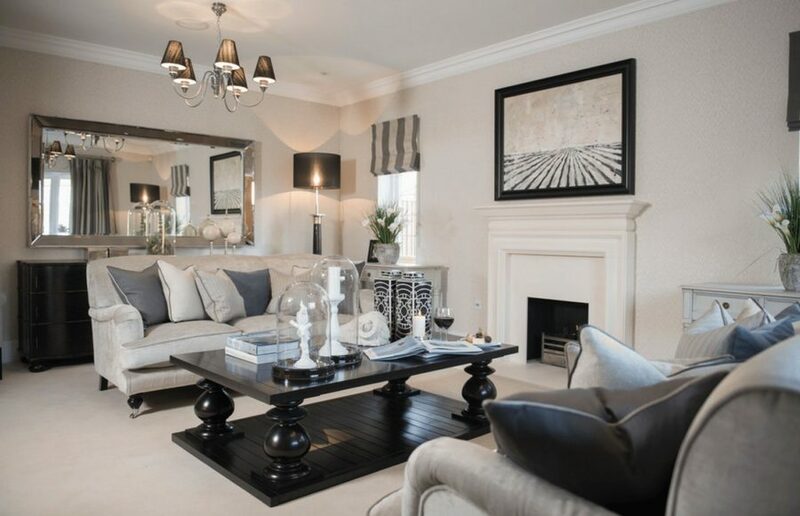 This living room by Alexander James Interiors incorporates soft tones with modern pieces of furniture throughout. 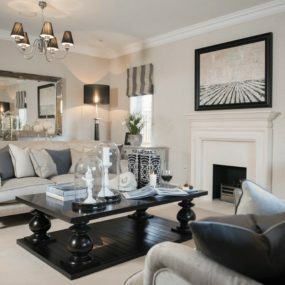 The large mirror behind the couch is in a modern style and it also makes the room feel larger. The gray couches are a light tone which adds to the homey-feel of the space. The trick with country modern is to make your home look pulled together but with pieces you could have already owned. 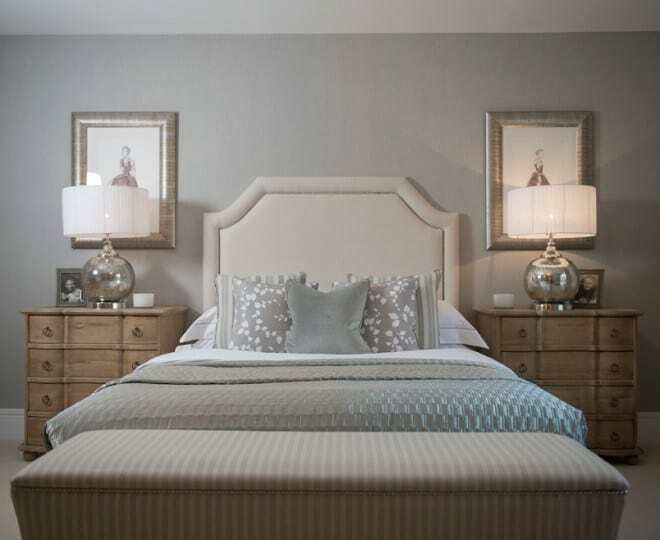 In the same project by Alexander James Interiors, this shows a simple bedroom with modern touches and country pieces. The large bedside tables are large wooden pieces. 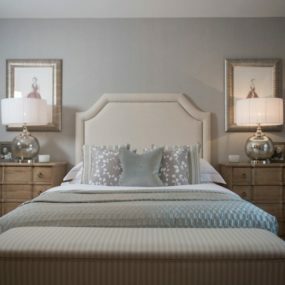 Modern design is about cutting excess out of design, which has been completed in this bedroom with no excess pieces incorporated into the space. A country modern laundry room in the farmhouse style. Even your laundry room should be included in your home’s design. 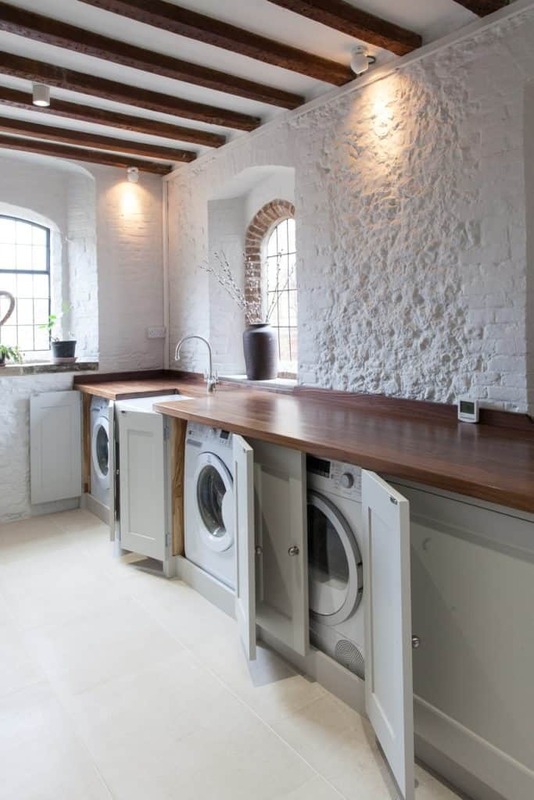 This country modern laundry room is very minimalistic with a large amount of counter and storage space. 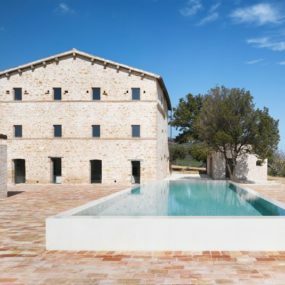 The room and stone walls leads the viewer to believe this might actually be in a farmhouse. Combine favorite styles in a country modern dining room. 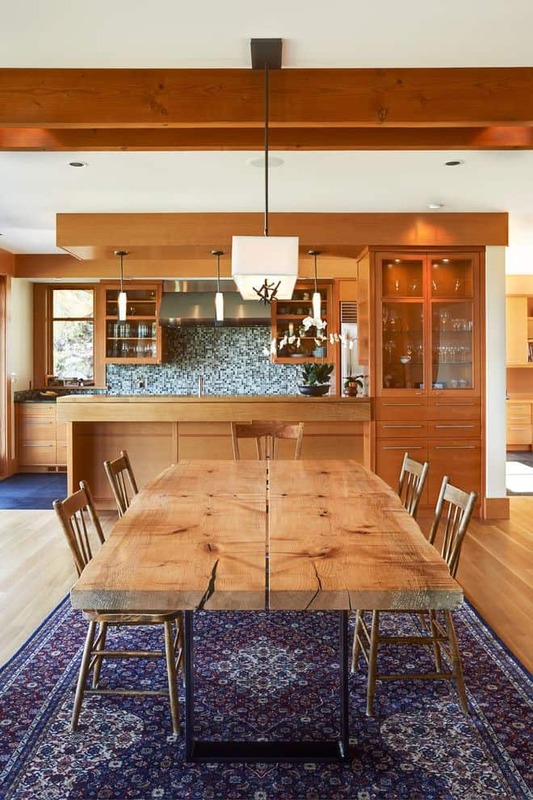 Live Edge Design made the live edge slab dining room table the focal point of the space. This wooden table has the farmhouse feel but the light fixture and rug lend a more modern look to the space. This balance of styles suits many people. 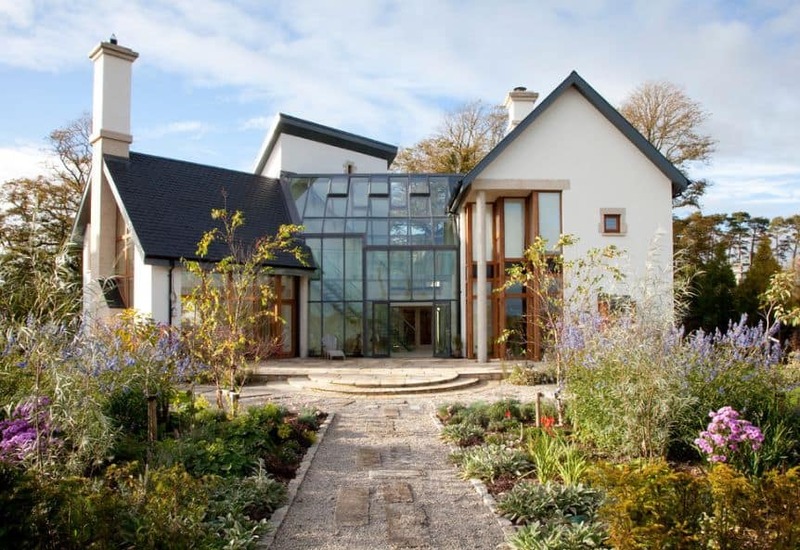 The exterior of a country modern home. 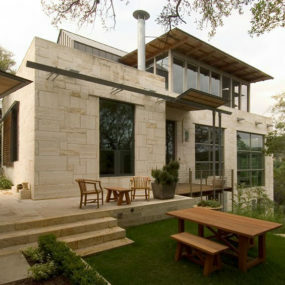 How about this for the perfect balance of a modern home exterior combined with a country feel? The glass, gray roof, clean white siding, and wood features all work together to give a clear picture of this home’s design. Even the walkway and front garden say ‘country’. Does country modern suit your style? This bathroom blends the styles of country and modern into an elegant look. 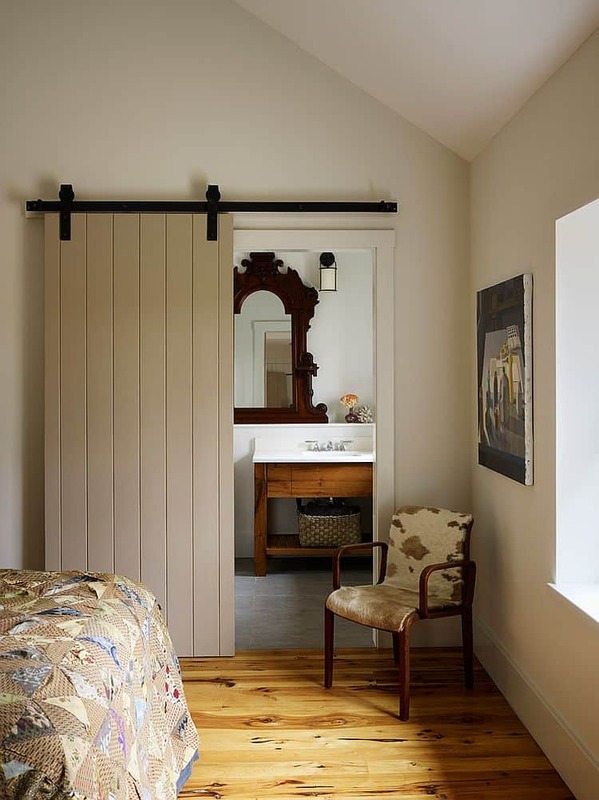 Get a glimpse of this country modern bathroom which is behind this rolling barn door. The bathroom incorporates wood, white walls, a white sink, and light fixtures. A bathroom of this style maximizes the modern country feel in every part of the space. 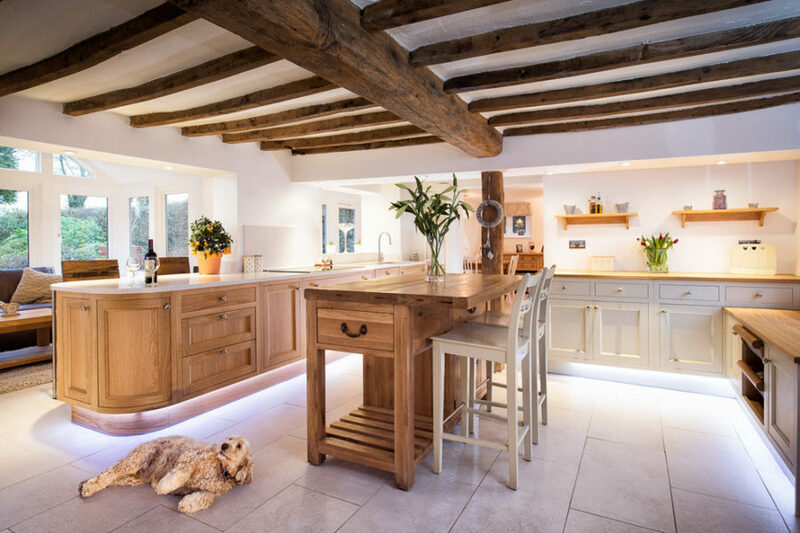 In this kitchen designed by Ashby DeLa Zouch, the wood pieces serve as the focal point. 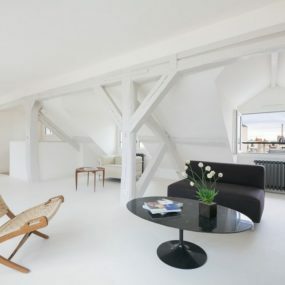 From authentic wood beams to the wood island, the eye is drawn to the wood against the white of the room. (Dog not included)! Because there are no top cabinets in the kitchen, the space will presumably have minimal clutter in the long-term. 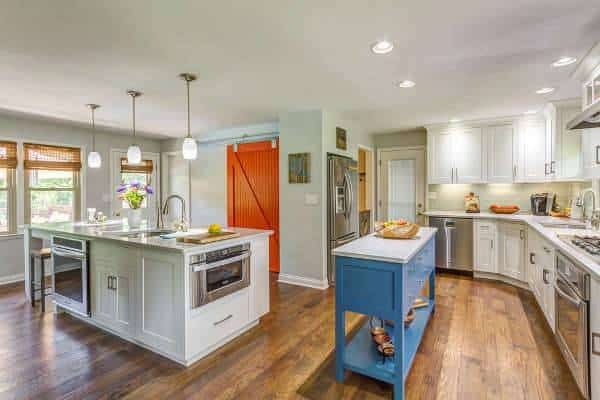 In another take on the modern country kitchen, the design incorporates wooden floors and more vibrant colors throughout. 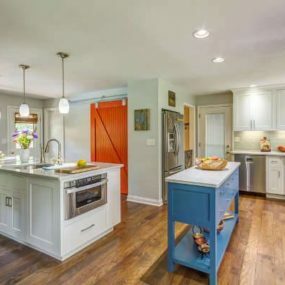 The eye is drawn to the orange pantry door and the blue kitchen island. 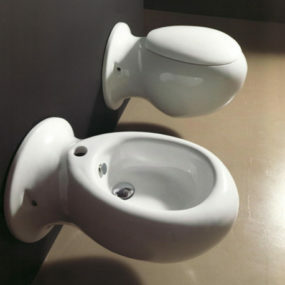 Other than those two colors, the space isn’t full of contrast so it follows suit of a true modern design. This sunroom just might be the most beautiful, simple room on the list. 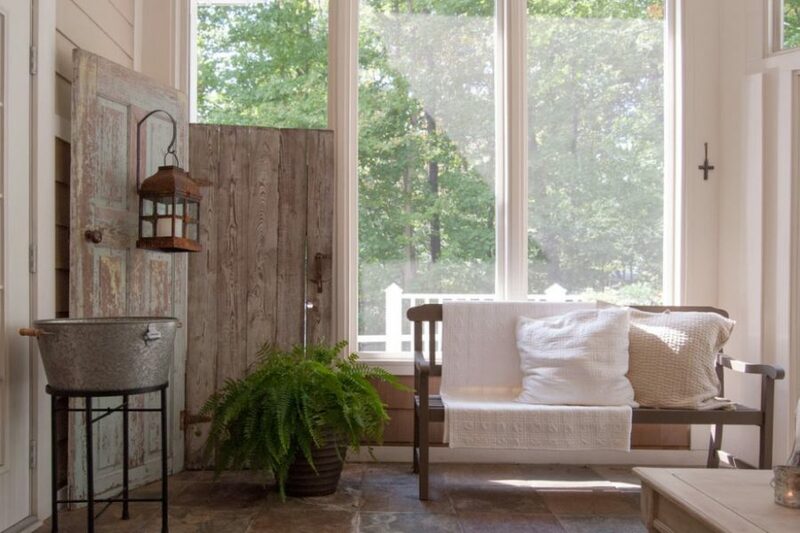 With just a few decorative details, this plain sunroom goes from a room with a bench to a country modern space. This example is the perfect reminder to not over decorate, just a few pieces can get the job done. 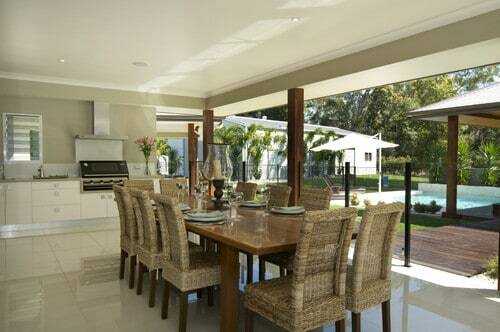 A country modern outdoor dining area. This outdoor patio is modern, beautiful, and full of accents that pull everything together. 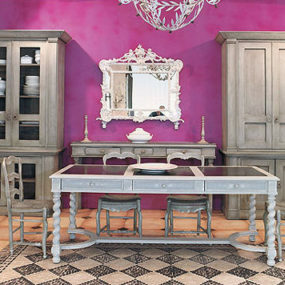 This country-style table is one of the only non-modern pieces in the space. The flooring, kitchen area, and ceiling all come together to give this area a welcoming feel. Add a country modern breakfast nook to your home. Finally, we have a breakfast nook that is simply gorgeous. In nearly every home, this cute round table fits in with the available space. With the touch of flowers, the choice of wood for the table, and the style of chair, the country feel is added to this space. Do you think country modern is right to you? Let your mind run wild with opportunities to incorporate this into your home, even if you go room-by-room.